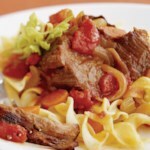 A twist on classic pot roast, this dish is filling and satisfying. Season beef with ¼ teaspoon of the salt and the ground black pepper. 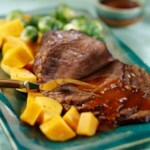 In a large skillet heat oil over medium-high heat; cook meat in hot oil until browned on all sides. Drain off fat. 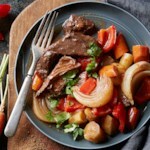 In a 3½- to 4-quart slow cooker combine the beef, beef broth, undrained tomatoes, onion, celery, carrot, roasted red peppers, red wine, and remaining ¼ teaspoon salt. Cover and cook on low-heat setting for 10 to 12 hours or on high-heat setting for 4 to 5 hours. 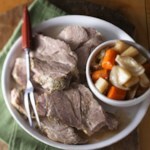 Using a slotted spoon, transfer meat to a cutting board. Skim fat from cooking liquid. 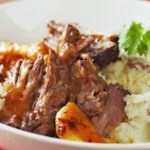 Using two forks, pull meat apart into shreds; return to cooker. If using low-heat setting turn to high-heat setting. In a small bowl combine the half-and-half and flour. Stir half-and-half mixture and rigatoni into beef mixture in the cooker. Cover and cook for 30 minutes more. 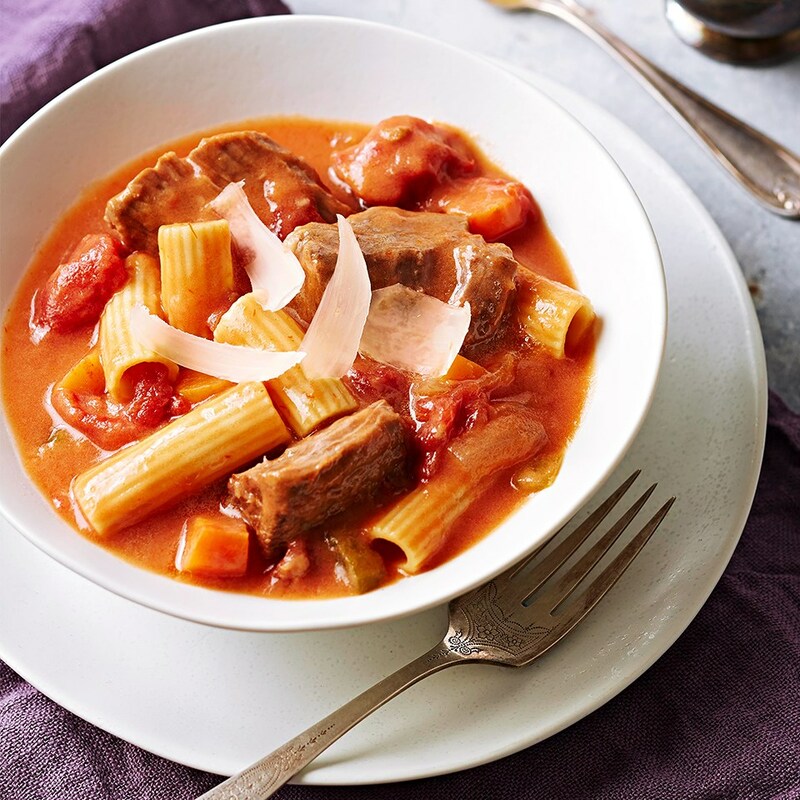 Top each serving with Parmesan cheese.